Designs by Karen Flowers & Gifts is a professional local florist that has been serving Riverbank, CA and surrounding areas for many years. We hope you enjoy your online shopping experience with secure 24-hour ordering right at your fingertips. If desired, you may also call us to place orders direct at (209)869-8676. Our highly trained staff is ready to assist you with placing orders for local delivery or anywhere in the world. We deliver the freshest flowers and brightest smiles. Call Designs by Karen Flowers & Gifts today! We offer several traditional and contemporary design styles to choose from and we have talented designers that can create something perfect for everyday, as well as birthdays, thank yous, speedy recoveries, anniversaries, new baby or just thinking of you. Wedding and party flowers from Designs by Karen Flowers & Gifts will make your special occasion a blooming success - whether it is large or small, formal or casual! Call us in advance to set up an appointment for your wedding or party consultation. 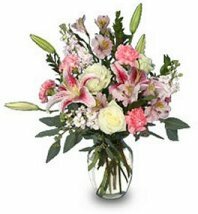 Ask our staff about customizing your sympathy floral tribute to a special friend or loved one. We can help you choose funeral flowers or plants that beautifully convey your expressions of sympathy and serve as a lovely tribute in memory of the deceased. 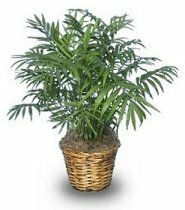 Browse our assortment of dish gardens, green plants & blooming plants to add life to any room or office. Consider sending one of our fruit and gourmet baskets – a tasty gift choice that’s hard to resist anytime of year! Shop our vast selection of gifts, such as scented candles, luxury bath products, charm bracelets, Premier Designs jewelry, plush animals, home decor items, silk floral arrangements, and baby novelty gifts. Designs by Karen Flowers & Gifts is conveniently located at 3306 SANTA FE in Riverbank, CA and we are open to serve your floral and gift giving needs from Monday through Saturday. Closed Sunday. Designs by Karen Flowers & Gifts delivers to all local hospitals and funeral homes. We also deliver daily to Salida, Ceres, Escalon, Oakdale, Modesto, Hughson, Ripon, Empire, and Waterford.